I woke this morning to a deluge of emails, Twitter direct messages and text messages, many with words I don’t want to repeat here. “Mueller vindicated Trump.” “Trump is innocent.” “Shut up you idiot, never tweet again. You were so wrong, Mueller just proved that the President is not a criminal”. Fox News has been continuing along the same line, pointing to the fact that there has been no new indictments by Mueller, and equating that to mean that Trump is in the clear and so are those around him. As you know I have been one of the president’s fiercest critics for two years now. Im not afraid to give my opinion on where I think the multiple investigations into him, his businesses, his foundation and his family are headed. These are always my opinions and I will NEVER post something as fact unless I have the facts. Not a single individual besides William Barr and those working for Mueller have read the report thus far. For anyone to celebrate or mourn its conclusion is irresponsible and dangerous. What we do know is that the conclusions of the Mueller report will, in some form, make their way to Congress, possibly as early as this weekend. 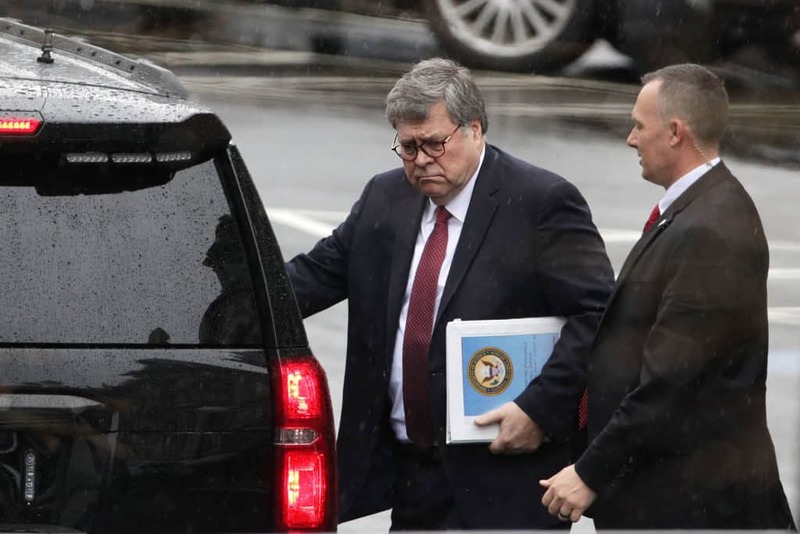 What we don’t know is how much of this information will have been redacted, and how much will be held back by Trump-appointed Attorney General, William Barr. What we also know is that Barr, and likely Mueller, would have agreed to adhere to the DOJ opinion that a sitting US president can not be indicted. So even if Trump was found to have committed crimes, Mueller would not have indicted him. Additionally, Mueller has been systematically handing off investigations to the Southern District of New York, the Eastern District of Virginia and other districts, likely doing so in case Trump tried to have him removed and his investigation shut down. The point is, Trump has not been vindicated. He will be vindicated once the complete Mueller report makes its way to Congress and the public, and when the multiple investigation elsewhere into him, his family, his businesses and his foundation are completed without evidence of criminal culpability. Finally, we already know that the president has been implicated as a co-conspirator in campaign finance violations, which his former attorney, Michael Cohen pleaded guilty to last year. Trump is not even close to being out of the woods. In fact, I would suggest the exact opposite. As of publishing this story, it has been 15 hours since the DOJ notified Trump about the conclusion of the report. For a man who gloats about mundane things like his height, if Trump believed he was vindicated I can assure you he’d be gloating like a mad man right now. Instead he spent the last two years attacking anything and everything about an this investigation, in an effort to discredit its results. Everyone needs to breathe, relax and allow the process to play out. And for the record, I hope Trump is vindicated and we don’t really have a criminal in the White House.